In August, Fives provided LG CHEM with a large-sized cold box. For use on the Yeosu site in South Korea, the cold box meets expanding ethylene production capacity needs there. During the same period, Fives delivered an exchanger to Air Products for use at the new Uhde ammonia plant in Donaldsonville, Louisiana (US). Last October, Fives installed an exchanger at the Hazira petrochemical site in Gujarat (India) for Reliance. 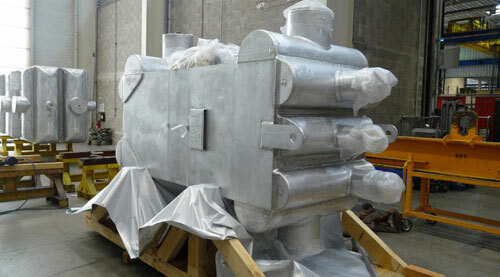 The replacement exchanger was designed and built in record time.